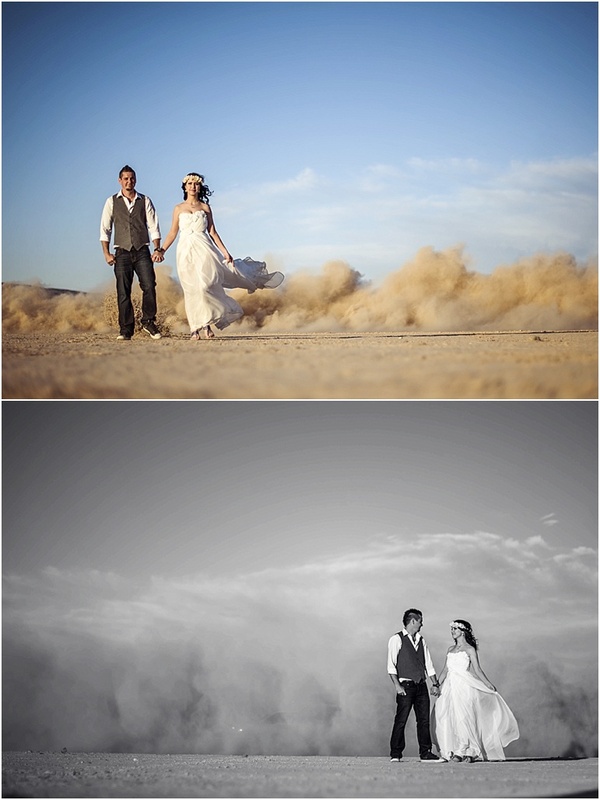 I have an obsession with desert landscapes. 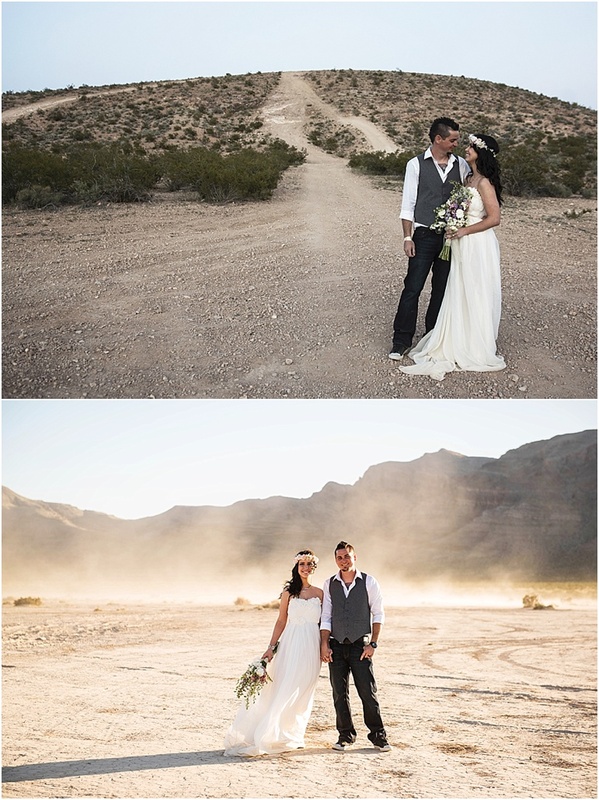 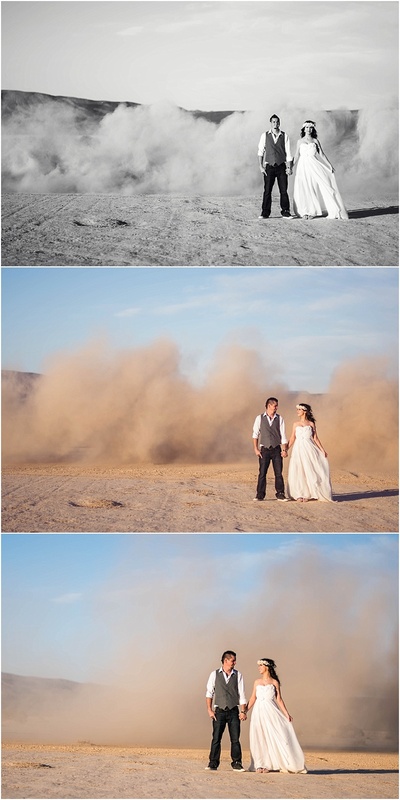 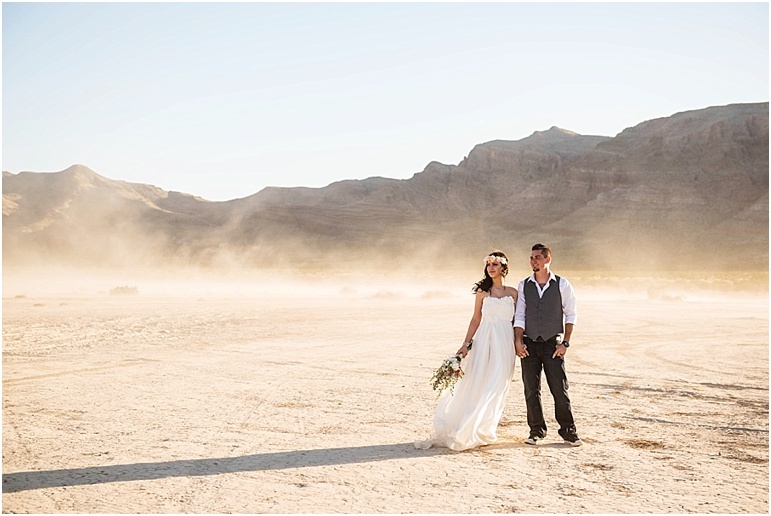 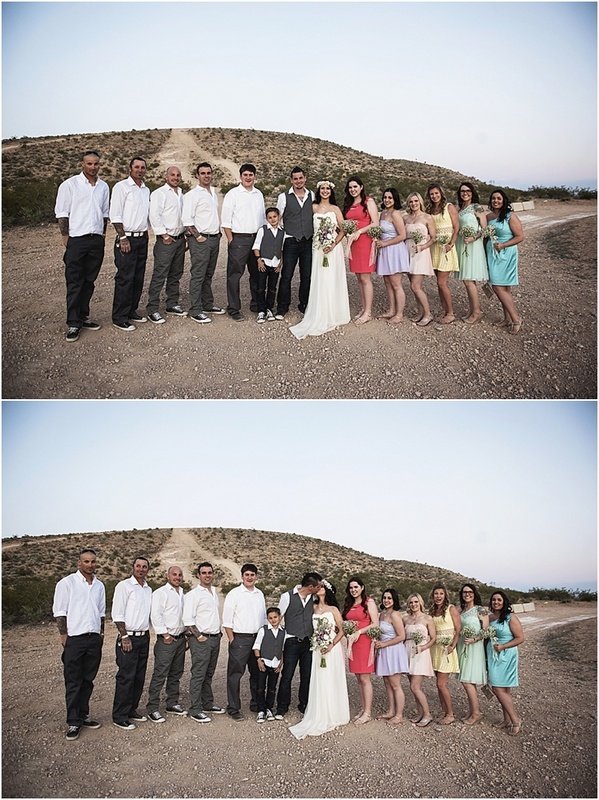 So, when I first saw these jaw-dropping images (by photographer Kathleen Hertel) from Nikki and Chris’s wedding ceremony on Jean Dry Lake bed outside of Las Vegas, NV, I fell madly in love (and very nostalgic for our SS2011 Black Label Campaign Film.) 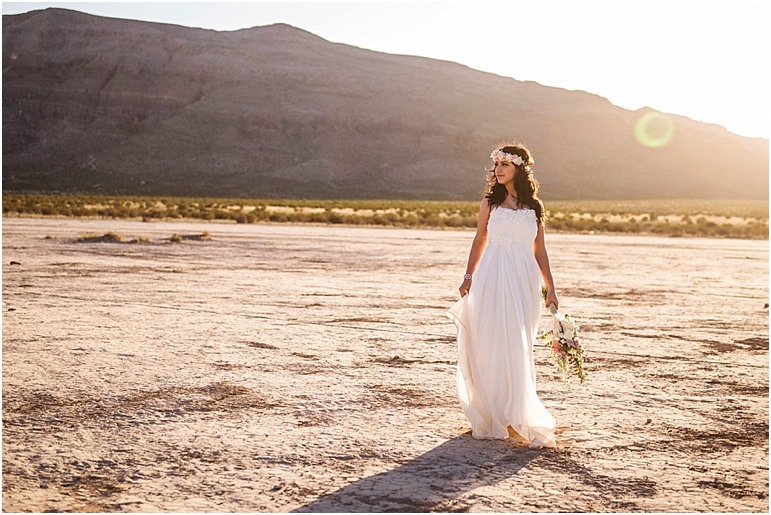 To compliment the unique and memorable location for her wedding, bride Nikki chose the “Bella” gown, and added to the free-spirit vibe of her wedding with a fresh flower crown. 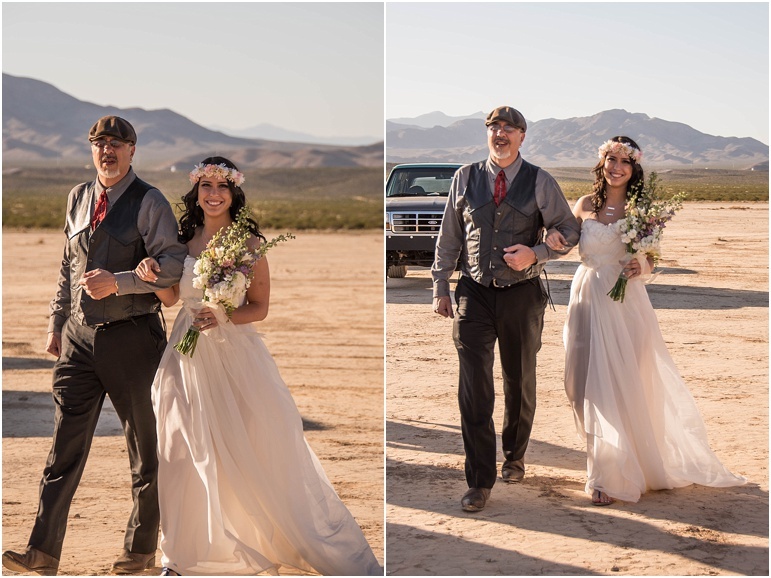 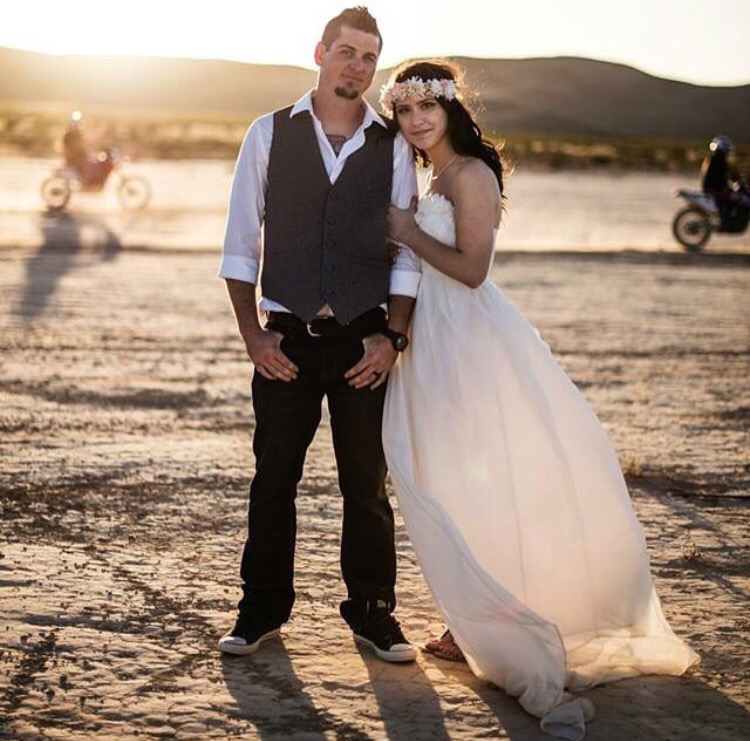 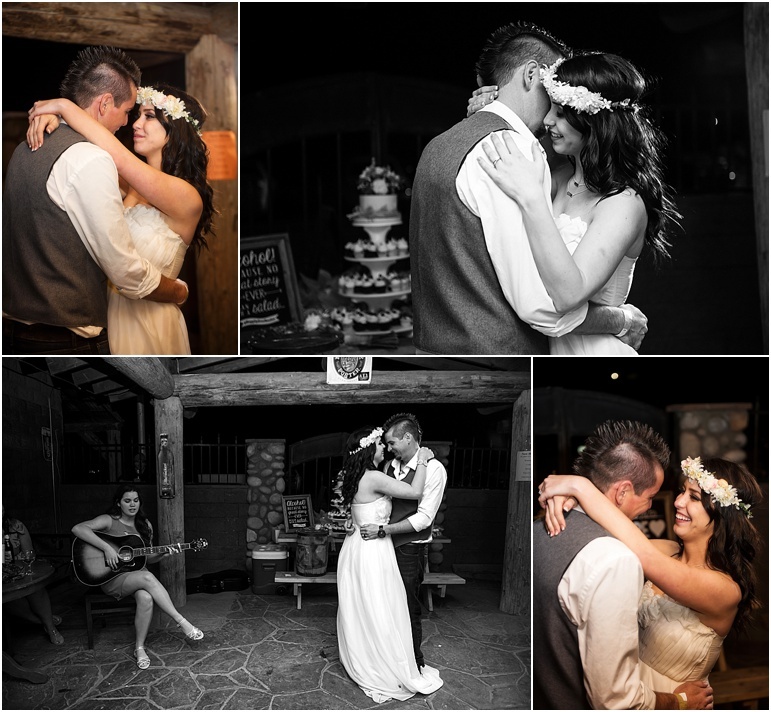 After saying ‘I do’ against this majestic mirage, Nikki and Chris celebrated at the famous “Pioneer Saloon.” A desert dream come true.